Ms chali for a make temporary platform with the help of cuplock standards & ledger using for outer wall works like plaster, glass fitting etc. We are a reckoned firm engaged in rendering Steel Shuttering Plates On Hire basis all across the market. Offered steel plate is highly durable and ensure safety whiling on work as this manufactured from high grade raw material by manufacturers. This is service is broadly demanded by construction industry and ensure reliability. 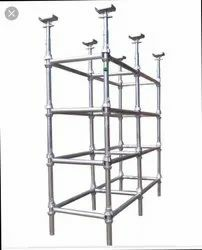 Scaffolding Staicase are made as per requirement of any height..
We manufacture and supply a comprehensive range of pharma, which is made using quality raw materials procured from reliable vendors. These products is hugely appreciated by our clients for its features such as durable, corrosion resistant and can handle tones of loads. Moreover, we provide various dimensions in our range, as per client's specification. - Cuplock vertical are principally used in access scaffolding applications and also as a base structure for formwork support applications. 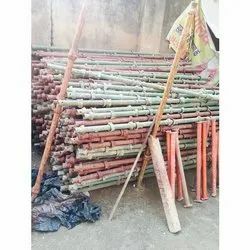 - Cuplock vertical are made of 40 NB "B class pipe". - Both ends are drilled to fix spigot joints. - Bottom cups are welded at 500 mm distance position. - Top cups can be moved and retained by a fix stop. We provide our clients a wide range of Shuttering Plates that are fabricated using high grade raw material. These Shuttering Plates are available in varied sizes and specifications to meet the diverse application requirements of clients. We have excelled in the field of Scaffolding by continuous R&D activities and by conforming to BS 1139 / EN 74, AS/NZS: 1576 standards to comply with safety norms of the Industry.